What are the Skilled Visa Options for Australia PR? Plenty of international students dream of Australian PR after their degrees. If you want to Apply for Australian PR, you should make use of Australia Skill Select. This is a special migration program that helps students convert their graduate visa to a permanent residency visa. By definition, SkillSelect is an exquisite online service that helps candidates lodge an Expression of Interest (EOI). The Expression of Interest is a collection of their special skills, attributes and desires. Information in the EOI is carefully assessed and converted into points. As the EOI gets lodged, immigrants are allowed to make a skilled visa Australia application. And, these applications should be backed by the government departments of an Australian employer. There are several different categories of Australian PR. As potential applicants, you should make sure you apply for the right category. 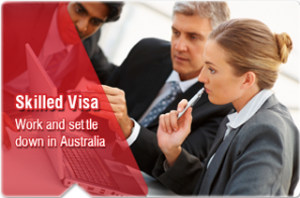 For example, if you want a skilled visa Australia PR, go for visa applications that stress on skilled visa migration. These visas don’t require nominations, sponsorship’s or special permissions. If you have a Skill-Select score of 75 or more, you can apply for the Australia Independent Skilled Visa. Moreover, it is quite interesting to note that the nation awaits promising applications that are technically, financially and legally upfront. As mentioned previously, you should make an Expression of Interest through Skill Select. Following on, you will be advised to apply for an Australian PR visa. For a skilled visa Australian PR, you should be 50 years or lesser. Nominated occupation will add more value to your application. Always ensure the nominated skill matches with your qualification. To know more details about approved skills, go through the Skilled Occupation List. You should meet the country’s minimum health requirements. For a smooth Skilled Visa Australia PR, you should have “good character”. All applicants are expected to sign the Australian Values Statement. To take things to the next level, applications should provide documents and police certificates to prove their conduct. English ability is another important attribute in the student visa process. To qualify for an Australian PR, you should be fluent in English. Apart from these basic requirements, you should have a SkillSelect score of 60 or more! Skilled Independent Visa under subclass section 189 is offered only to people with good SkillSelect scores. By 2017 My Study is going to Complete in Australia and my visa will also expire so I can Extend my Visa and chances to work in Australia With Permanent Resident. Hi friends I’m Working in Australia. I recently received the PR to Australia. So I need my father and mother to visit Australia Permanently to Stay with me. Of course they are weak in communication . ways to get visa to Australia.